Since the beginning of 2017, I have been living on the fifth-largest island in Hawai’i. East of O’ahu and west of Maui, my new home is known as the Friendly Island and prides itself on being more like the Hawai’i of 50 years ago than the madness that the tourist meccas have become. It’s a favorite place for people to retire to from those other islands and from the mainland. Moloka’i is part of Maui County (along with Larry Ellison’s island, Lana’i, and Maui itself), and all the islands except the built-up part of O’ahu are in Hawai’i’s Second Congressional District, represented by Tulsi Gabbard (D). Congress is on spring break at the moment so the Representatives and Senators are in their districts holding Town Hall meetings with their constituents. Monday, April 17 was Moloka’i’s turn for some face-to-face time with Tulsi, who is part Samoan and part haole (pakeha), a practising Hindu, and a Middle East combat veteran. A good source of information about her is her ballotpedia listing here. In Congress since 2012, she has been making waves with some of her stances, such as resigning as co-chair of the Democratic National Committee and endorsing Bernie Sanders in last year’s election, meeting with Assad on a recent visit to Syria, and being sceptical about the recent gas attack there. 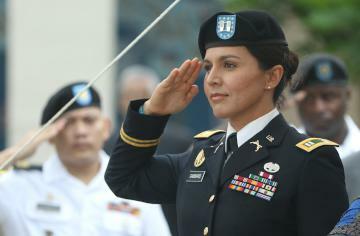 She serves on both the House Foreign Affairs Committee and Armed Services Committee. 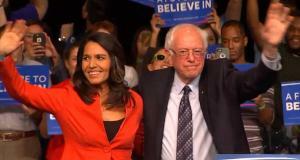 The Town Hall meeting started with a short chant to “clear the space” (both physical and in people’s heads and hearts), a prayer, introductory remarks from Gabbard, questions—oral and written—from the attendees, and closing remarks from the Congresswoman, in which she thanked everyone for coming out and said, “It’s good to be home.” Then we all joined hands in a big circle to sing Hawai’i Aloha. The audience was about 95 percent haole and about 60 percent elderly. Here are the issues that were addressed in the meeting, raised mainly by the haole retirees, who are liberal Democrat-leaning. Unsurprisingly, given the demographic (whose ability to pay high prices for housing contributes to the problem), the issue of affordable housing was not raised, despite it being one of Gabbard’s top legislative priorities. In February 2015, Gabbard introduced a bill to reauthorize the Native Hawai’ian Education Act, but later supported including its provisions in the Act that replaces No Child Left Behind, the Every Student Succeeds Act (ESSA), which was passed in December that year. In response to a written question about the process, Gabbard replied that she had been told it would be impossible to get those amendments to ESSA passed because of the pressure Republican members of Congress were under from constituents who criticized those amendments for being “racist”. Instead, she said, because of her previous bi-partisan outreach, those who were being bombarded with material from advocacy groups approached her directly to get the Hawai’ian perspective, and were persuaded otherwise. This is the issue that first got Gabbard interested in policy and politics. Two of the written questions were on this topic; the first asking whether access to clean water was a local or federal matter, and the second asking what Gabbard was doing to support “the critical issues of the environment”. An earlier speaker also referenced the Congresswoman’s efforts related to invasive species and pest removal. “Without water, there is no life,” Gabbard said “Keeping and preserving water and making sure it’s accessible” is one of her priorities. With respect to the question about critical issues, she explained that she and her staff are currently creating their prioritization requests for the Appropriations Committee as part of the current budget process, and many of their requests are related to the environment. She thinks that state- and county-level codes are the better place to address many environmental issues because they can be stronger than federal laws and regulations. The first applause for a question came when an audience member said that President Trump’s executive order about energy independence “is reckless endangerment and is a case for impeachment.” He went on to request that Gabbard draw up Articles of Impeachment. A written question asked if refusing to produce tax returns was cause for impeachment. As for impeachment itself, the question in Gabbard’s mind is “the prospect of a President Pence.” She strongly disagrees with many of his policies and recognizes that Pence has the connections, experience, and clout to get Republicans to pass them. “The norms are not the norms anymore, I guess is what I’m trying to say.” She also cautioned that calling for this action is taking time away from Congressmembers’ consideration of important policy issues. Congress returns on April 25, and the federal government is only funded through April 28, raising the very real prospect of another government shutdown if the appropriations process does not get completed by then. Gabbard replied to the question about this by saying that is more likely that a continuing resolution will be passed, but that will mean that any projects with a start date after April 28 and reliant on new funds in the actual Appropriations Bill, will not be started. Because there is “too much politicking around the issues—for example, the wall,” she does not think there is any likelihood of the Budget actually being passed by April 28. However, she said, she was reminded by a Republican colleague that the President only proposes a Budget, but it’s Congress that writes and passes it, and she seemed to think this augured well for Trump not getting everything his own way. 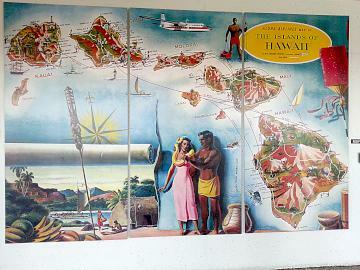 Air travel is a necessity in Hawai’i and two questions reflected that. In reply to one about the cost of airfares, Gabbard said she wants to get a provision in the Budget—which raises TSA fees—to exempt Hawai’i and Alaska, but “there is no easy answer” on the issue of affordability. A question about requiring airlines to use larger planes for interisland flights so that they can better accommodate elderly and disabled passengers elicited a similar noncommittal response about what can be done. A video of the entire Town Hall is available on Akaku Moloka’i’s Vimeo channel here. Rosalea Barker is a New Zealand journalist based in the US.